The Arizona senator, who died Saturday, was famous for his independent streak. Last year he helped block the repeal of Obamacare. He refused to toe the party line on big finance, too, often working with Democrats – including on reining Wall Street after the financial crisis. U.S. Republican presidential nominee Senator John McCain (R-AZ) listens as he is introduced at a campaign rally in Fayetteville, North Carolina October 28, 2008. U.S. 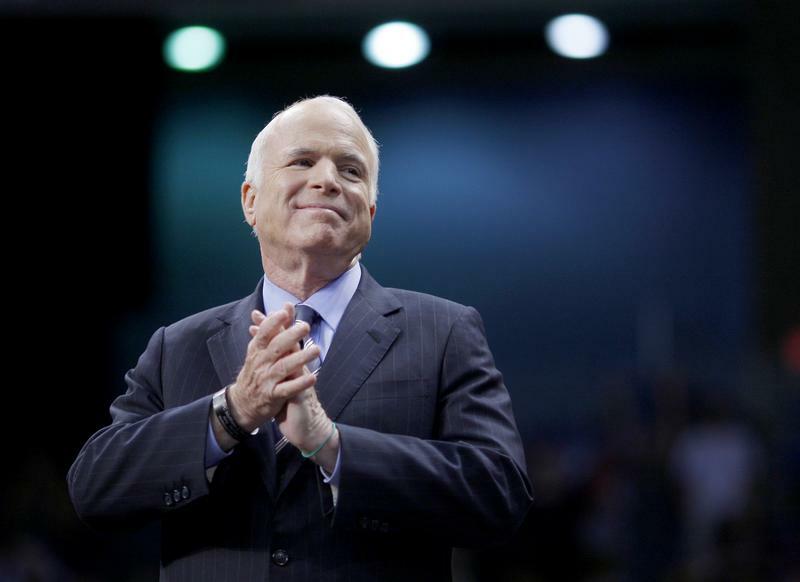 Senator John McCain died on Aug. 25, age 81. He was diagnosed with brain cancer in July 2017. He served in the U.S. Navy for more than 20 years. His A-4E Skyhawk bomber was shot down in Vietnam in 1967 and he was held as a prison of war until 1973 – and was often tortured. He was elected to the U.S. House of Representatives for Arizona in 1982 and won a seat in the U.S. Senate in 1986. In 2008, he was the Republican Party’s nominee for president against Democrat Barack Obama. Most recently, he was chair of the Senate Armed Services Committee.